Pharma and other stakeholders in the health arena are increasingly aware of the benefits of working together in the pre-competitive phase to address common problems. The Pistoia Alliance works to facilitate the definition of issues that affect the broader industry, as well as solutions found through collaboration, and describes some of its successful initiatives here. In a marketplace full of big pharma mergers, acquisitions, and hostile takeovers, where cut-throat competition is seemingly rife, it may come as a surprise to discover that many of these same life science companies are increasingly collaborating with each other, their research partners and their suppliers to tackle shared challenges. While they rightly remain focused on developing their own independent products in healthy competition, there is an increased awareness of the need to improve pre-competitive efficiency by identifying and addressing common issues. From a commercial perspective, pharma companies are seeing shrinking pipelines, reimbursement challenges and increased competition. At the same time, there are ever more opportunities to embrace new science in R&D as new technologies, techniques and data sources develop. Balancing commercial need against scientific opportunity is a delicate process. There are a few significant areas where collaboration can prove effective and lead to an early, easy win for all involved. These include the management and analysis of big data, as technological change outpaces the capacity of R&D groups to process the volume of results generated. Another area of immediate need is driven by increasing globalisation, where multinationals with research operations around the world must comply with a growing number of different and sometimes conflicting or even contradictory local, regional, national and international regulations. A successful example of the life sciences industry collaborating to tackle common problems is HELM (Hierarchical Editing Language for Macromolecules) from Pistoia Alliance, a non-profit precompetitive group of life science companies, vendors, publishers and academic groups. HELM is a notation standard, supported by a set of software tools, for describing in a consistent manner a wide range of biomolecules (e.g. proteins, nucleotides, and antibody drug conjugates) where traditional small-molecule or sequence-based approaches would fail to cope with the size and complexity of the structures. The previous lack of a standard for describing these kinds of molecules meant that it was difficult for researchers within the same organisation to clearly communicate their findings with each other, a problem that was compounded when attempting to work with external collaborators who would each be using a completely different standard too. HELM was originally developed as an internal project at Pfizer, but the Pistoia Alliance recognised that the underlying problem of biomolecule description affected the whole research community and that it would benefit everyone involved if a universal solution could be found. Working closely with Pfizer and a selection of Alliance members, the Pistoia Alliance transformed HELM into a truly open collaborative project, supported by a knowledgeable and energetic community of experts, and made it available as an independent tool to be adopted by R&D groups worldwide. In recognition of the importance of its contribution, HELM was awarded the Bio-IT World Best Practices Award in 2014. The Pistoia Alliance is behind another recent collaborative success story involving the common interpretation of controlled substance regulation. The life sciences industry has always had a need to handle controlled substances as part of basic research and to share this material between researchers at different labs, but the internationalisation of the industry has brought the need to comply with a myriad of regional, national and international regulations governing how certain substances may be handled and which borders they may be shipped across. The development of the Pistoia Alliance CSCS project (Controlled Substance Compliance Service) to track, compile and interpret this minefield of regulatory requirements has enabled life sciences companies to gain a greater understanding of the rules, thus improving their ability to ensure that their controlled substance handling and shipping procedures remain in full compliance at all times in all locations. CSCS has grown to have a permanent expert community to determine common interpretations of the more complex areas of compliance and companies have taken the CSCS example datasets and developed them into commercial products with full coverage for key regions such as the UK, Switzerland and the US. It is planned to extend coverage to China in the near future. Big data, an overused but still relevant buzzword, remains an issue for life sciences companies. The definition is wide-ranging and encompasses everything from R&D through to marketplace analytics, so the solutions required differ depending on what kind of data needs analysis. One oft-cited example is in the area of DNA sequencing, driven by the inexorable development of next-generation sequencing (NGS) platforms and the substantial rise in data volumes produced by each new machine that hits the market. Responding to concerns around handling NGS data, the Pistoia Alliance ran a competition in 2012 to award $15,000 to the developer of the best novel open-source NGS data compression algorithm, the idea being that compressed data is more efficient to store and transmit. The better the compression ratio achieved, the more data can be processed in the same amount of time. The winner of the competition, James Bonfield of the Wellcome Trust Sanger Institute, was able to reduce NGS data to just 11 per cent of its original size, thus providing a theoretical increase of capacity for transmission or storage of NGS data in the region of 900 per cent. Bonfield’s winning entry, along with all the others that were submitted, was published under an open source licence to enable everyone to take advantage of the benefits. One of the most significant developments in pre-competitive collaboration is the tranSMART Foundation. tranSMART is a knowledge management platform for translational data, originally developed by Johnson & Johnson and Recombinant Data Corporation, that became an open-source project once its significant potential for application across the industry was recognised. Using its network, the Pistoia Alliance assisted with developing the platform before helping it set up as an independent foundation in 2013, managed and maintained through the life sciences community itself. Since then, more than 20 corporate, non-profit, academic, patient advocacy and government organisations have joined the tranSMART community, and the platform is used by several major pharma companies. Despite all of these successes there are many more opportunities to tap, using cooperation and collaboration. The Pistoia Alliance holds ongoing discussions with its members to identify the most important common needs that could benefit from collaborative action to find a solution. The diverse ideas currently under discussion include biosample management and selection, cloud privacy and encryption, real-time genome analysis, ontology equivalence mappings, and a chemical safety library. To organise and catalogue these ideas for future collaborative development, the Pistoia Alliance has developed the Interactive Project Portfolio Platform (IP3). This is an online open innovation system to capture ideas and track them in real time as they develop into actionable projects. In keeping with the Pistoia Alliance’s spirit of transparency, the platform is open to the public and anyone may submit an idea or comment on existing proposals, whether or not they are a member. The platform allows ideas to be discussed, voted on, and development resources to be pledged and, when an idea meets the selection criteria, the Pistoia Alliance sets out to secure project funding to develop it into an open solution to benefit all. Pre-competitive collaboration has proved to be of significant value to the life sciences sector and, while impossible to put an exact figure on the efficiency savings achieved, projects such as HELM, CSCS, and tranSMART have demonstrated their worth through increasingly widespread adoption. The Pistoia Alliance has been the driving force behind many of these innovations but much remains to be done and the group continues to seek out and welcome new members to assist with identifying issues and pushing towards open innovation. With all of its members working together to address issues that would never be surmountable if faced alone, the Pistoia Alliance is driving the collaborative development of real-world solutions to real-world problems, delivering significant value to the entire life sciences community. Richard Holland is executive director operations at Pistoia Alliance. 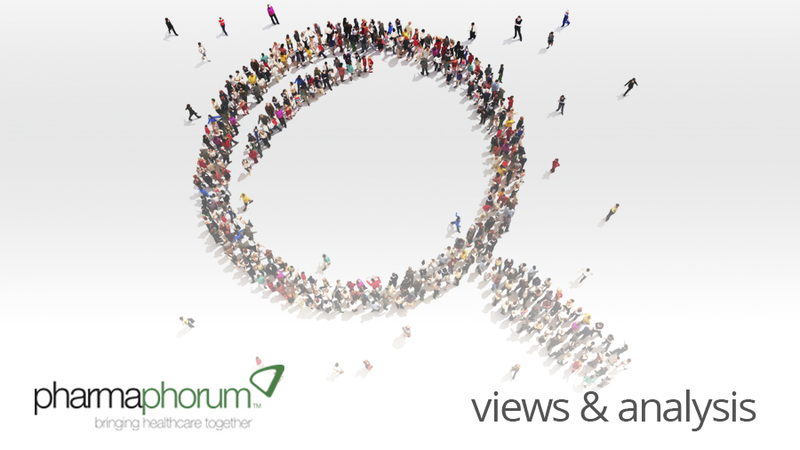 Have your say: What do you see as the pressing issues that a collaborative approach can solve?